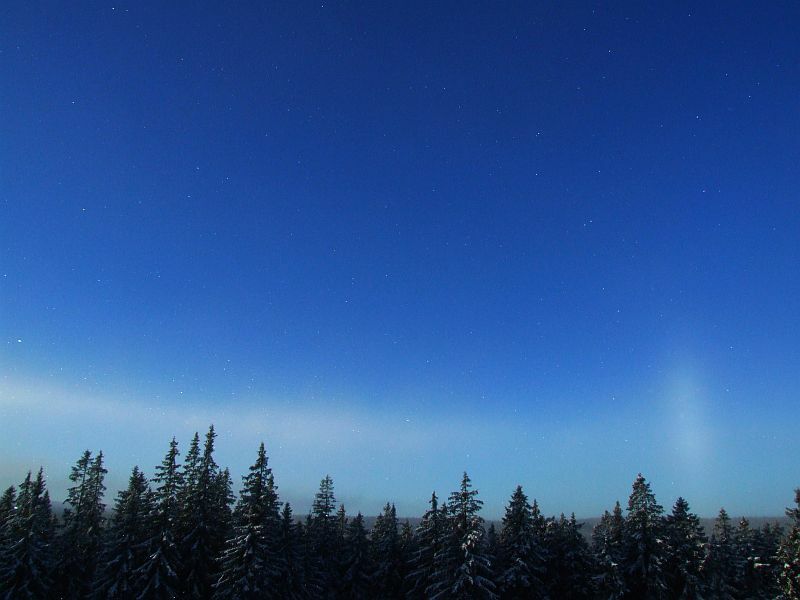 The display with 44 degree parhelia was observed by Roman Szpuk in the morning of 5 January at the meteorological station in Churanov, Sumava Mountains. 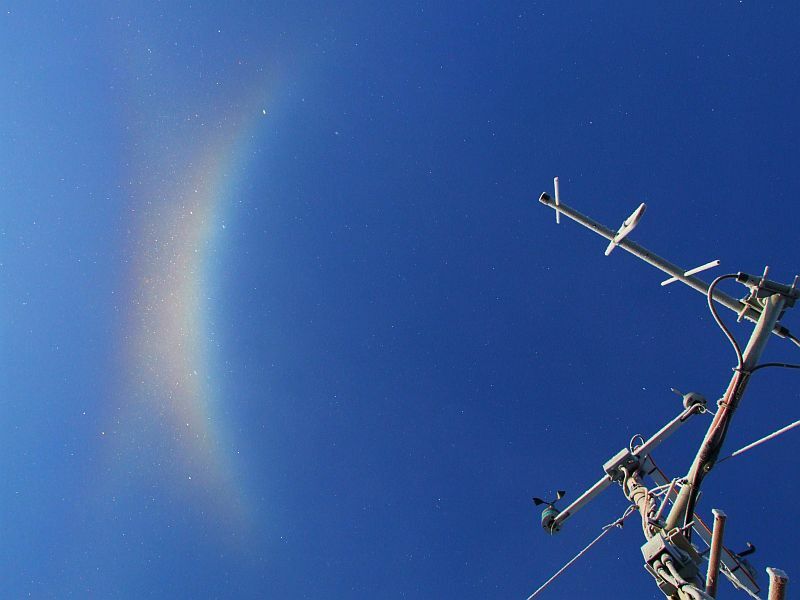 The temperature was -11 °C, and the crystals may have originated from the nearby ski slope's snow guns. Besides some more usual halo forms ( 1 ), the display also showed 120° parhelia and faint reflected Lowitz-arcs ( 2 - 3 ). I wonder if this is the highest sun 44 deg parhelia yet? I think Saskatoon is still the highest, there sun was at 12 degs, if I recall right. I believe it's just a matter of years instead of tens of years that we get a veritable Saskatoon II somewhere. Saying it sounds like blasphemy, but I think it's bound to happen. (And by we I mean all the halo enthusiasts around the globe. Someone's bound to be in the right place at the right time). Patrick, do you have a list of these 44 deg parhelia online? Thanks! According to provided photos of the display (and correction of time), the heigt of the Sun was 8 degrees. This is pretty good 44 parhelion here. Probably Kern arc there as well, but photos do not cover it. The 120 parhelion is strangely faint. Same with Mikkilä Kern display. That could be partially explained by assuming regular hexagons which are not good 120 parhelion makers at low sun, but 8 degrees is not that low anymore. 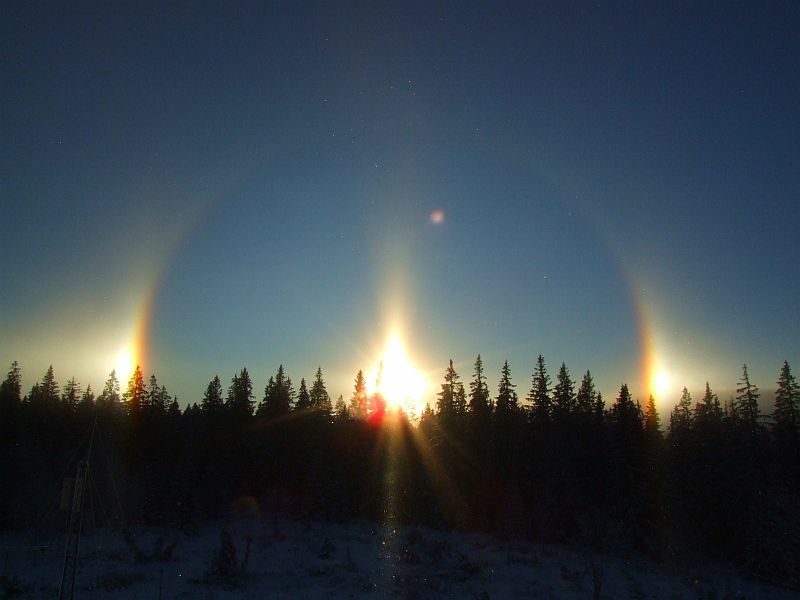 In Saskatoon the 120 parhelion and parhelic circle were strong. I checked out the list, thanks. 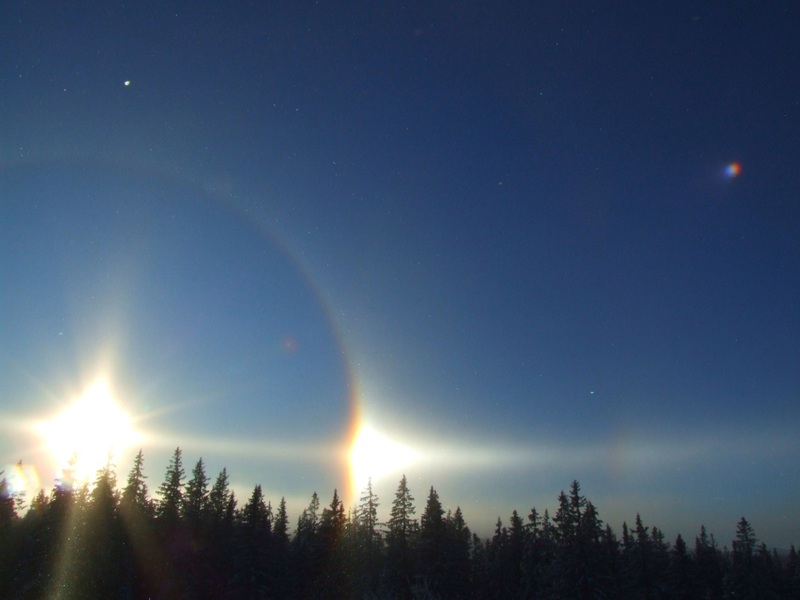 The 17 November 2008 display probably refers to this display from Rovaniemi, but I don't think it is a 44 deg parhelion. It's just the leg of a supralateral arc. The parhelion does not seem bright enough to light up a true 44 deg parhelion. So that's one line off the list. As to the sun elevation of this post's display it seems that I was fooled by the perspective of the image. I thought this was with a sun elevation of maybe 10+ degrees. Jari, sorry for you name :) I must rewrite it maybe in next "update" of my database. Seems a couple of very faint 44 parhelias.